Minnesota Housing announced a $1 million award to the Minnesota Home Ownership Center yesterday during a press conference held at a foreclosed property on Saint Paul’s east side. The award comes at a critical time when federal funding gaps threaten the ongoing work of 74 counselors across the state. Coverage of the press conference can be seen here (Fox-9), here (Finance & Commerce) and here (MPR). UPDATE: Star Tribune has also covered us: here. Here's the situation... the foreclosure counseling network in Minnesota faces an immediate threat to the provision of services, even while facing continued, and in some areas, increased, demand foreclosure prevention counseling. Current funding has been exhausted and the next round of federal funding will not be available until March 2011, pending congressional authorization. With this $1 million award, the Minnesota Home Ownership Center is prepared to work directly with counseling organizations to continue services. Center staff has calculated that it will take just over Five Million dollars to cover the cost of maintaining foreclosure counseling services in the state of Minnesota at current levels through the end of 2011. 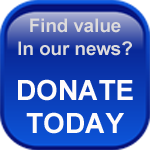 We'll keep you informed about the fundraising process - and its impact on the counseling network over the coming months. For now... services will continue without interruption and MN Homeowners that are struggling with their mortgage payments - or think they may have difficulty making payments soon, should contact a non-profit (FREE!) foreclosure counselor TODAY.